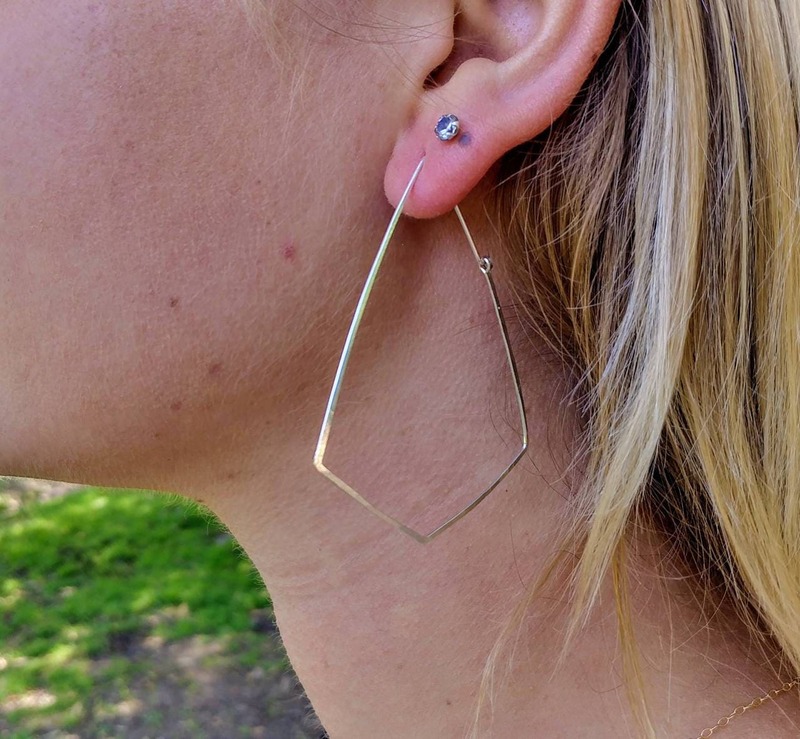 These large geometric hoop earrings are an interesting twist in the standard hoops. 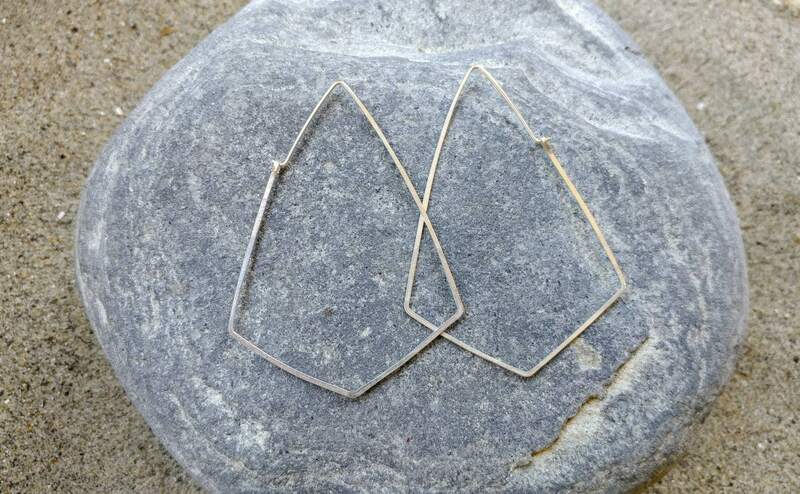 They are made from a high quality sterling silver or gold filled wire and hammered to hold their shape and give them shine. 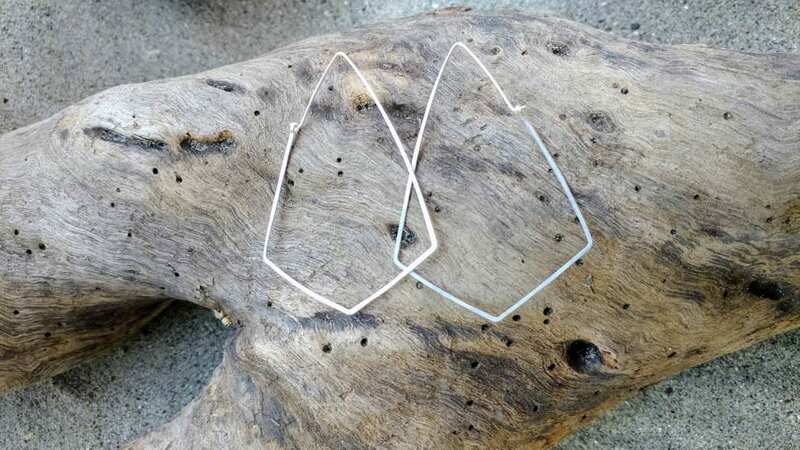 They slide easily onto your ear and lock in place with a hook and eye closure. Perfect for everyday! 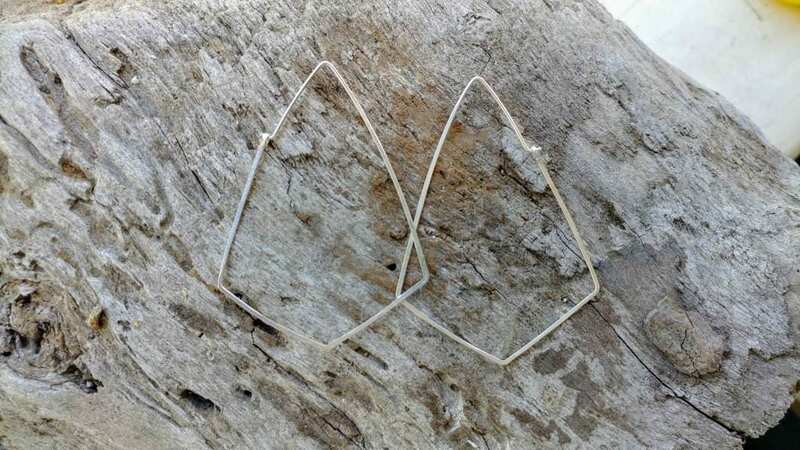 These are our large hoops, measuring 2.5" long. Also available in Medium (2") and small (1.5") sizes. Beautiful like all of the items from her! I like the earrings but I thought they would be a little bigger than the size they were. Thank you.